CARE Series 7: Women Beyond Barriers was held from 12-15 December 2017 in Guangzhou, China. 11 ABU Members took part in this series. CARE (abbreviation for 'Change Asia Rescue the Earth') is a documentary co-production project of the ABU which was initiated by Korean Broadcasting System (KBS). CARE aims to inform the public about the United Nations Millennium Development Goals (MDG) as well as to promote media social responsibility to make this place a better place for all. CARE Series 1 covered all aspects of the UN MDGs, addressing such topics as poverty, disease, the environment and women. A total 17 broadcasters in the Asia-Pacific region participated in the project. The documentary series, appreciated by audiences worldwide, was also aired on UN TV. 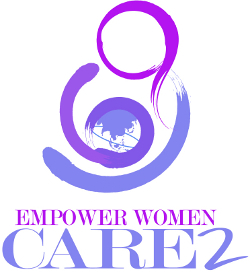 CARE Series 2: EMPOWER WOMEN! Around the world women plays a critical role in their nations’ prosperity. However, many Asian women still suffer. Some are working as slaves and another suffered from unhealthy family planning. Creating new opportunities for women lies at the heart of many of the UN MDGs, an unprecedented effort to systematically address the world’s most significant challenges. A total of 10 broadcasters in the Asia-Pacific region participated in CARE Series 2. CARE Series 3: Youth and Future was held on 16 to 18 March 2013 at Kuala Lumpur. A total of 15 broadcasters in the Asia-Pacific region participated in CARE Series 3. CARE Series 4: I Have A Dream was held on 15 - 17 March 2014 at Chengdu, China. A total of 15 broadcasters in the Asia-Pacific region participated in CARE Series 4. CARE Series 5: The Future - Road to School was held on 17 - 19 December 2014 at Kuala Lumpur,Malaysia. A total of 14 broadcasters in the Asia-Pacific region participated in 1st Producer's Meeting of CARE Series 5. CARE Series 6: Love was held on 19 - 21 April 2016 at Kuala Lumpur,Malaysia. A total of 14 broadcasters in the Asia-Pacific region participated in CARE Series 6.